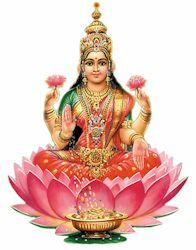 Mahalakshmi is the Goddess of wealth.The significance of the homam is to create unlimited wealth.Top important icons like cine stars, sports persons perform Mahalakshmi homam.You can perform once in 3 months. Srisuktha homam homam is being conducted for those who are seeking unlimited wealth and prosperity in life. Those who are facing financial difficulties and wish to earn wealth in abundance can perform Srisuktha homam. As this is a powerful homam, those who perform can receive the blessings of Goddess laskhmi.